Now that the Halloween season has descended upon Disney Parks, it’s time for me to find a costume for this year. I’m tempted to reuse my awesome Sam Flynn from “TRON: Legacy” costume from last year. (Yes, it was that amazing!) Yet I still have a few other ideas in mind for a new costume. If you are looking for an instant Halloween costume that doesn’t require much effort, I found a few options that you may like. This year, we have introduced four new T-shirts for women that offer a simple way to dress for any Halloween party. 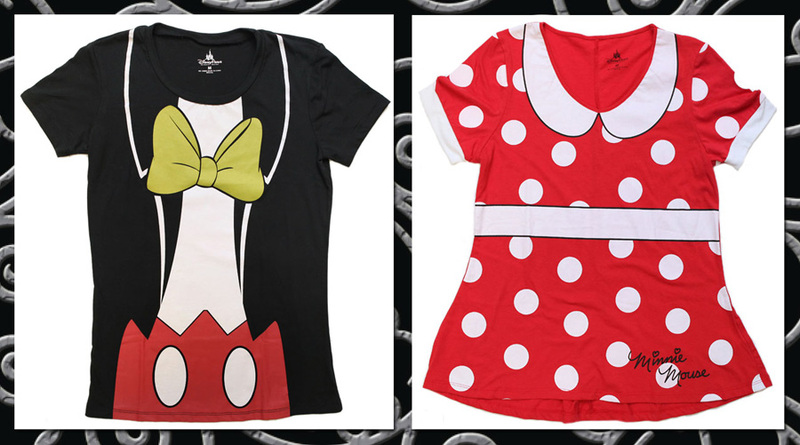 These shirts were inspired by outfits worn by some of our famous Disney characters like Mickey Mouse, Minnie Mouse, Donald Duck and Snow White. They were recently released in select locations at Disneyland Resort and Walt Disney World Resort (just in time for Mickey’s Not-So-Scary Halloween Party in Florida or Mickey’s Halloween Party in California). Once they arrive in October, the new MousekeEars will be a great option for those seeking a simple costume. The headwear team has also developed a few additional hats that are currently available. The pumpkin ear hat was designed by Disney Design Group artist Mark Seppala and was inspired by the Halloween art program I discussed in a previous article. I love the hidden Chip n’ Dale found by pulling on the top of the hat. 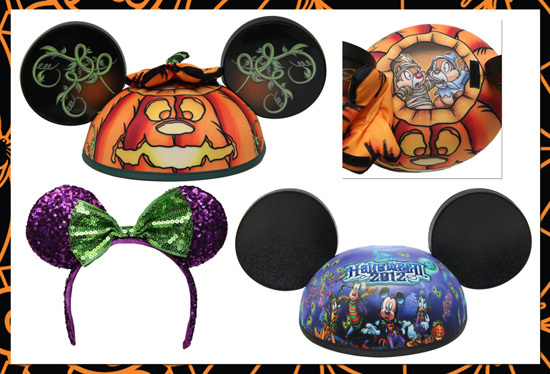 There is also a colorful headband, and an ear hat that has the main Halloween artwork printed on the front and back. 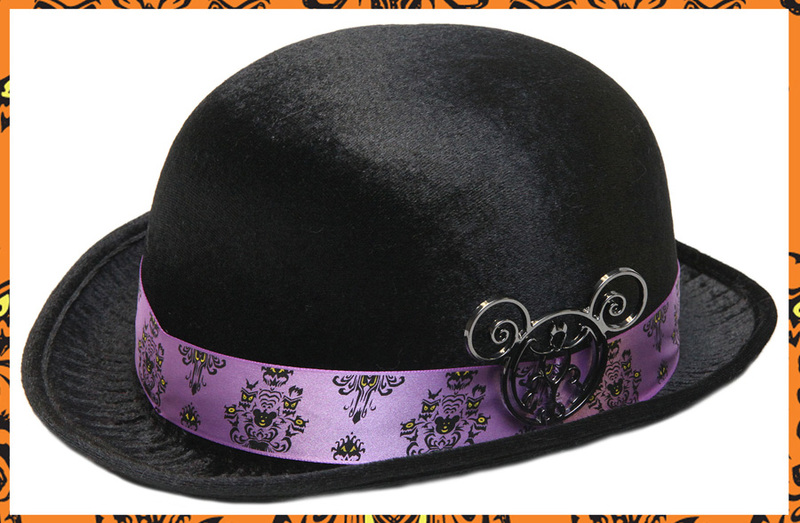 Check out the ears on this hat for a nod to the Haunted Mansion. Speaking of the 999 happy haunts, Disney Design Group artist Darren Wilson designed a bowler hat that was inspired by one of the Hitchhiking Ghosts. I love the stylized Haunted Mansion wallpaper ribbon and bat found on the hat. It reminds me of a hat I used to wear going while swing dancing at Atlantic Dance Hall in the late 1990s. I guess I should add this one to the list of costume possibilities! Bill Nye the Science Guy is coming home!! !